This little post is a homage of sorts to London Remembers and Open Plaques – who document all of the plaques and memorials in the capital (and across the country in the case of Open Plaques). I’m sure there is an some old adage about it being best to be honest when you don’t know something – which is exactly what this plaque does. 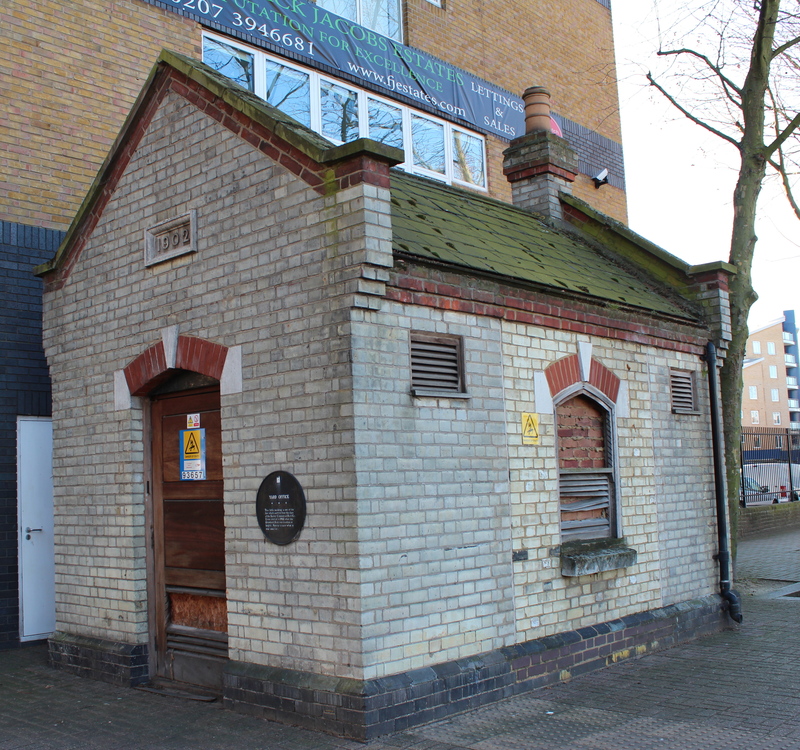 I stumbled across it in my own neighbourhood of Surrey Quays – and it has the grace to admit that it does not know what function the small, brick building (dated 1902) to which it is attached had. 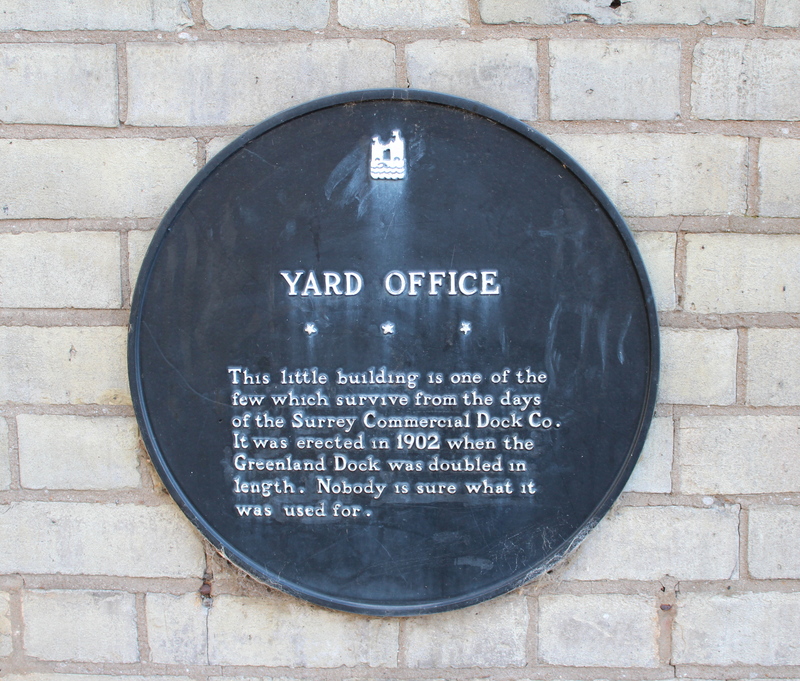 If you’d like to visit the plaque in person, you can find it on the corner of Rope Street and Sweden Gate, near the Surrey Docks Watersports Centre (the postcode for which is SE16 7SX). This entry was posted in History/heritage and tagged London plaques, London Remembers, memorial plaques, Open Plaques, plaques, Surrey Quays by thelondonphile. Bookmark the permalink. Sound point Pat, sounds likely, especially re the fireplace. Thanks for your comment. I find the whole area really fascinating and hope to learn more about it. I only recently (and by accident) came across this website. Just in case the contact details (and interest in “The unknown Plaque” is still current …. During the early 1960’s, I was in the Port of London Police stationed at Surrey Commercial docks. The building like several others of its design was built to enable police to check people and vehicles in and out of the various dock entrances. That particular police hut was not in regular use – only used when there were ships (requiring police attention) berthed in the Swedish Dock. Feel free to contact me if you feel that I could help with further info re Surrey Commercial Docks during that time period. This is near to where Plough Bridge was, over the Grand Surrey Canal and where the canal entered Greenland Dock. Many thanks Gilbert. It’s always good to learn more about my own neighbourhood. 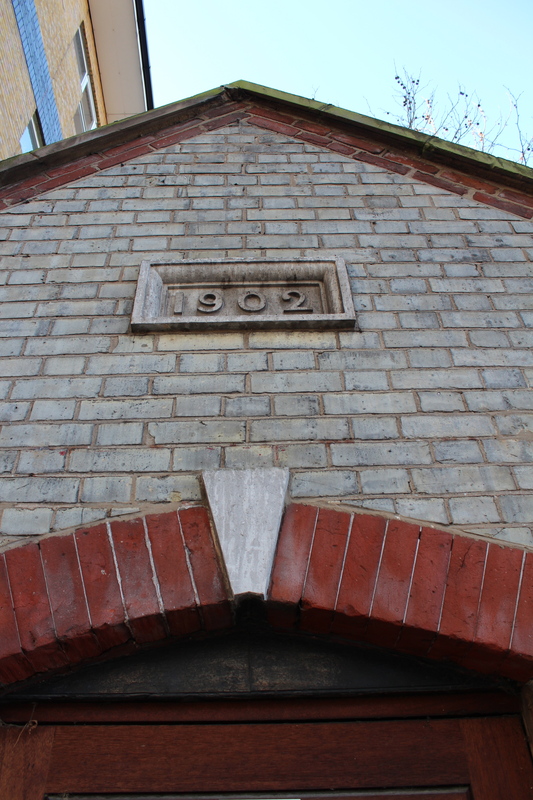 I’m hoping to find out more about it on one of Paul Talling’s walks of the Grand Surrey Canal later in the year. I love the idea of a plaque that is vague in its information. The thought of the plaque posing more questions than it answers tickles me.